(WASHINGTON, D.C., 6/26/18) -- The Council on American-Islamic Relations (CAIR), the nation's largest Muslim civil rights and advocacy organization, today decried the U.S. Supreme Court’s decision announced this morning to allow the Muslim Ban 3.0 to remain in effect. In a 5-4 decision, the court reversed an injunction that had -- until December 2017 -- prevented the Trump administration from using the Muslim Ban 3.0 as a basis for denying visas to foreign nationals from eight affected countries. "Today's ruling sits alongside other similarly shameful Supreme Court decisions allowing Japanese American internment and segregation,” said CAIR National Litigation Director Lena Masri. 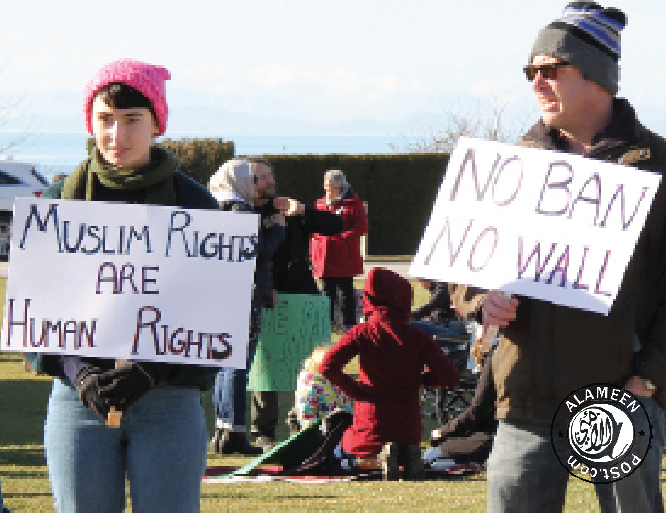 "The Muslim community will join other advocates of civil rights to show the ban for what it is -- an illegal expression of anti-Muslim animosity," said CAIR Senior Litigation Attorney Gadeir Abbas. “The Supreme Court's decision is an invitation to inject discrimination back into our immigration system. More than half a century ago, Congress abandoned a racist immigration system that preferred some races over others. This decision is an abandonment of that milestone.